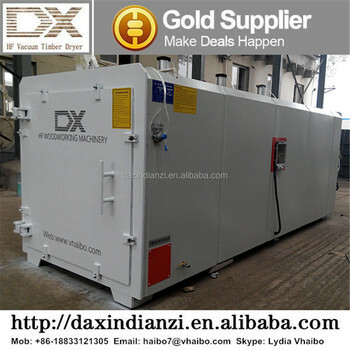 High Frequency Vacuum Wood Drying Machine adopts high frequency drying method, inside and outside of wood timber is heated at same time, uniform heating, high speed drying, short time and good quality, which can keep the timber nature color, meanwhile, the timber is airated under the vacuum environment, non-cracking, especially applied for the thick and hard presious wood, wet wood. which has greatly improved the general management level. 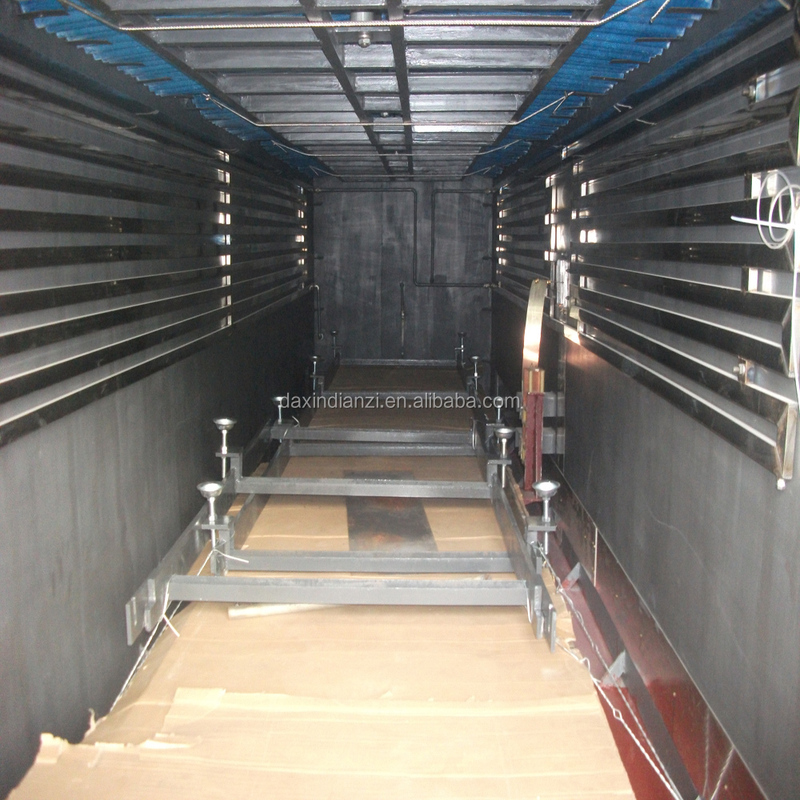 It doesn't need to insert wooden strips in the middle of the timber, there is no cracking, no distortion, no shrinkage in lower temperature drying process. 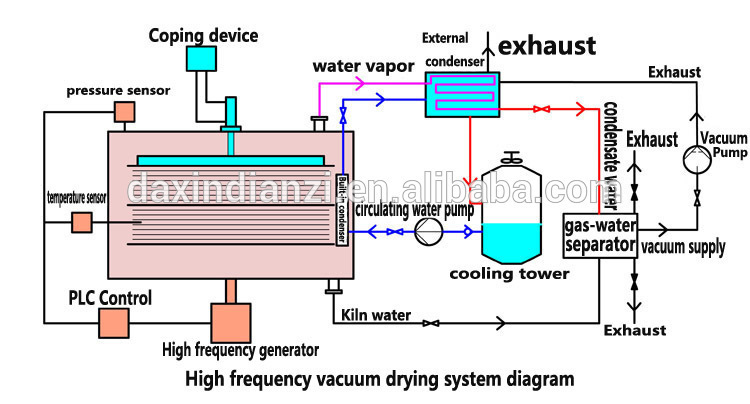 No boiler, no dust, no smog, it avoids applying complex procedure and environmental pollution. Killing the bugs and sterilization. 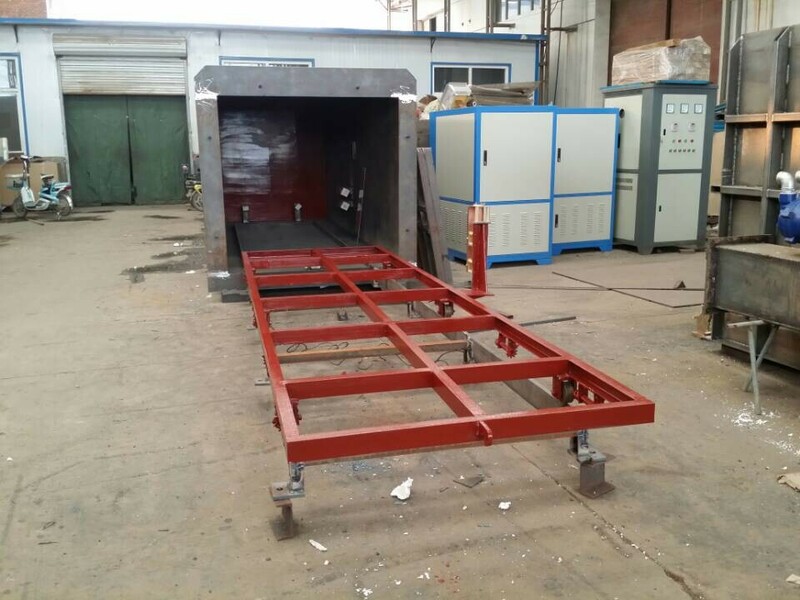 It is special to dry the large section board and hard dryed timber, and hardwood etc, the drying time will be short mostly. 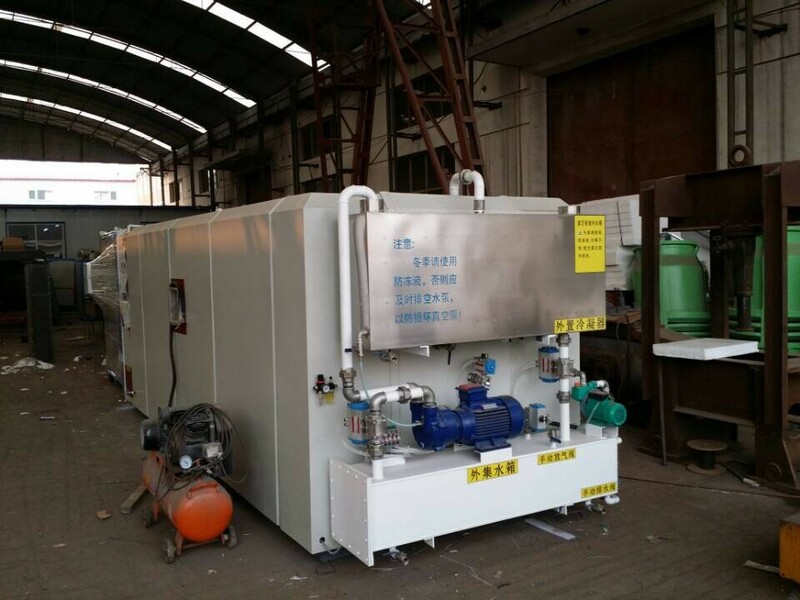 It is suitable for small batch of production, various kinds of products, rapid turnover. Goal market: wood/timber industry and wood furniture in the whole world. 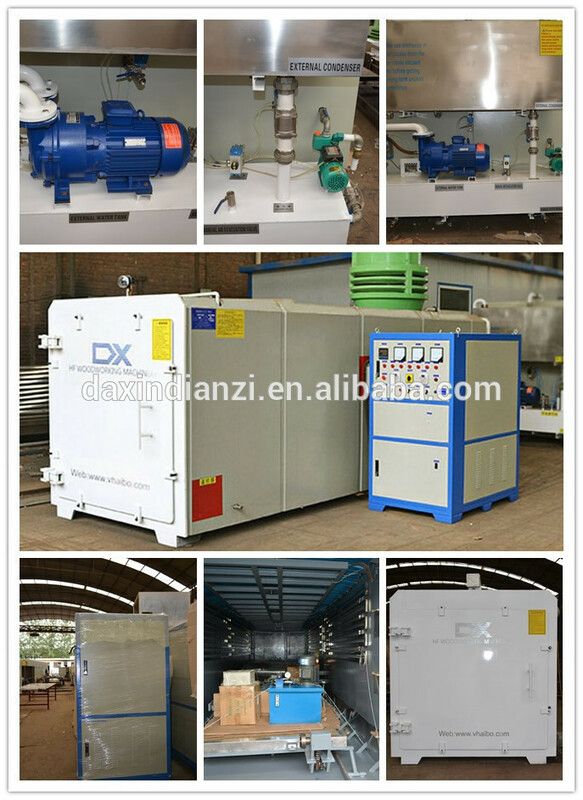 The cooling system and pressure plate of High frequency vacuum wood dryer. 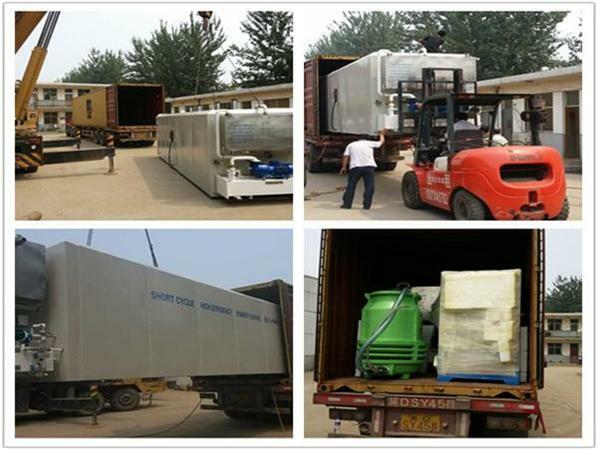 Packing: standard and pubic export packing or as the csustomer' requirments. 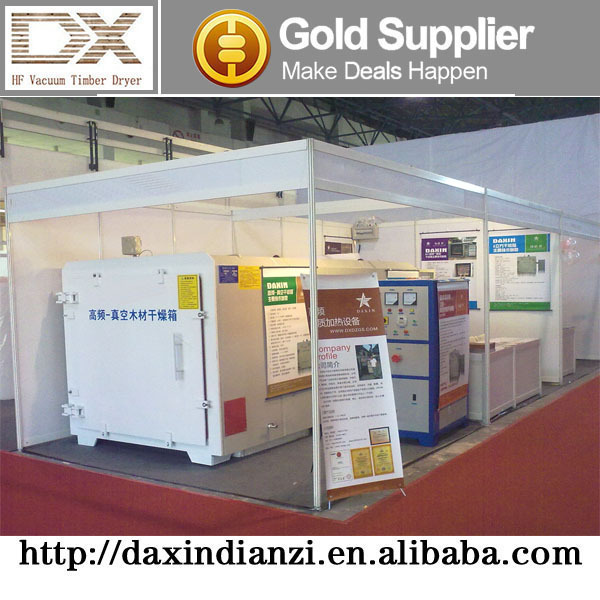 Our engineer will install all parts for buyers, the buyer can use it directly when they get the machine.